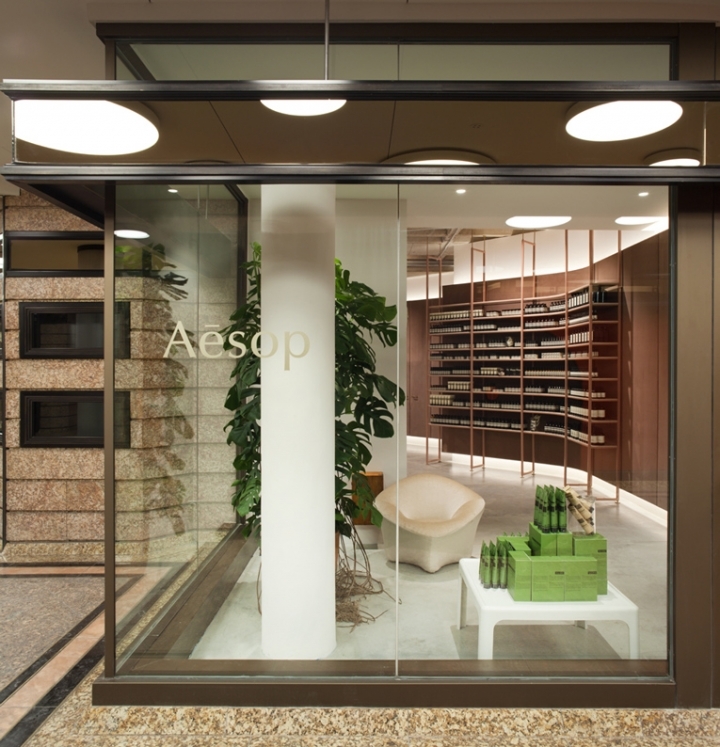 Since arriving in Germany little over two years ago, Aesop has expanded nationwide but lacked a store in the far south of the country. Until now, that is. 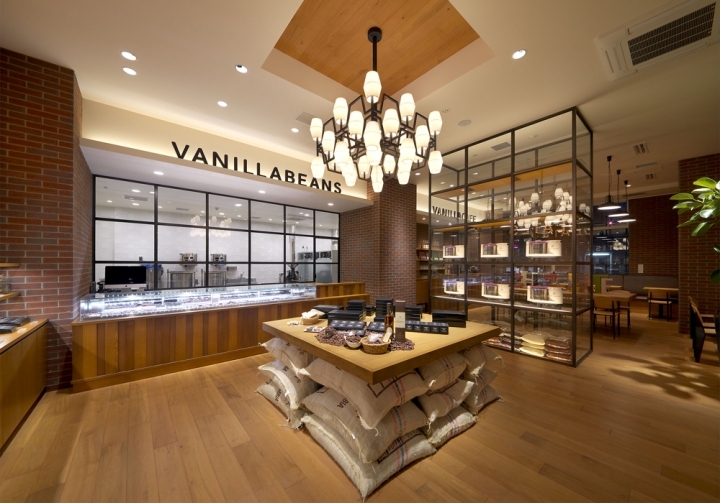 The cosmetics brand from down under has recently added a signature store – its seventh – in Munich's historic downtown area. 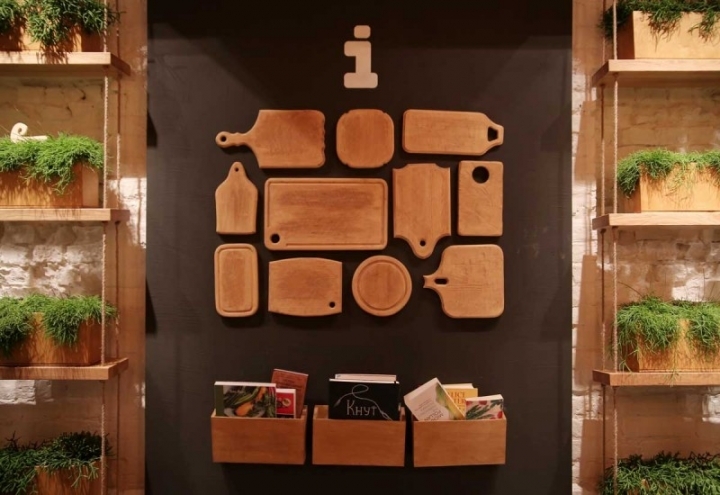 occupying a ground floor unit at Luitpoldblock, a colossal early 19th-century building originally built as a commercial building, the store features an interior design by local creative practice Einszu33. The retail setting is marked by a stark contrast in materials and shapes, but it's all effortlessly tied in by a polished concrete floor and a backdrop of white-washed walls. 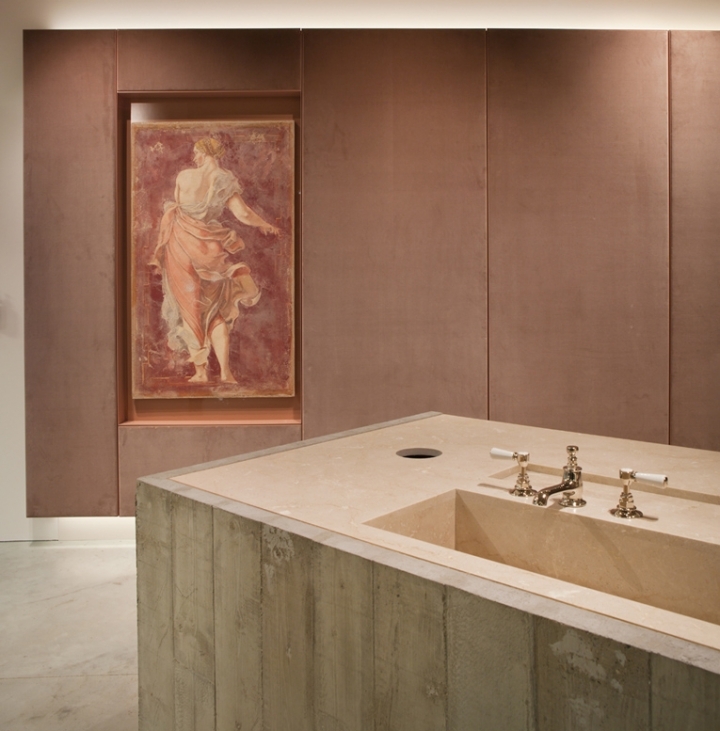 Taking cues from the neighbourhood's brutalist architecture, a rather chunky concrete desk with a contrasting top of carrara marble and built-in sink takes center stage, complemented by a separate in the adjoing rooms. 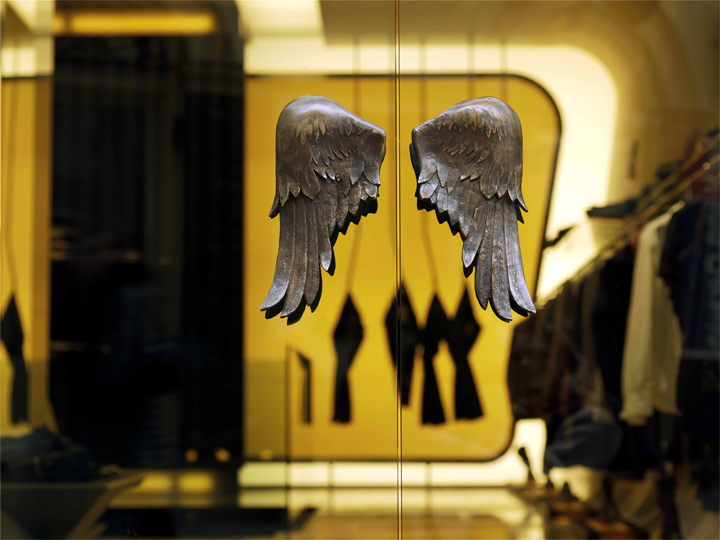 A suspended shelving system, crafted from repurposed brass and mable are situated in fromt of the shop windows and agains a back wall covered in shimmering silk panels. 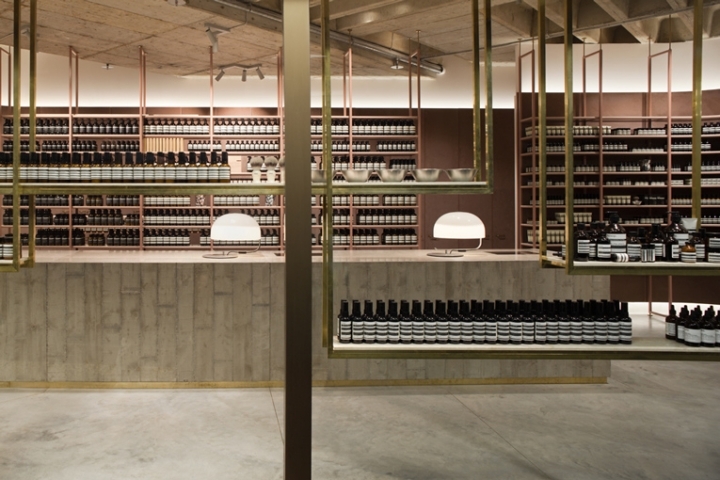 The new Aesop store carries the brand's full range of skin, body and hair care products. location: luitpoldblock, maximiliansplatz 10 [altstadt].